Even though the Star Wars movies are influenced by several other films and genres including westerns, I can't say I ever pictured a book focused on that particular setting. Firefly showed us a western set in space works. John Jackson Miller's Kenobi is different from the Joss Whedon show in that it doesn't travel about the galaxy - the story stays put on Tatooine - but it also proves a story with western hallmarks fits into Star Wars like a glove. My spoiler-free review is after the cover. As you can probably guess, Kenobi focuses on Obi-Wan. If you've always wondered about his time on Tatooine, you can get a peek into his mostly solitary life in these pages. His primary concern is making sure Luke is kept safe and sound, but he also has to avoid attracting Imperial attention. Tatooine may be remote, but it doesn't mean it's exempt from small towns with residents who know everyone's business. This book is all about relationships. It's about how people get along, how Tuskens deal with them and each other, and how they all work with the environment of their harsh planet. It manages to be a sweeping adventure without being a big story if that makes sense. The cast of characters is relatively small, the list of settings isn't long - it's a delightful change from most Expanded Universe books I've read. Besides the obvious awesome of the Obi-Wan factor, a couple of aspects in particular grabbed me. The Tusken Raiders play a significant role in the story, but instead of only seeing the brutal surface, we get to look underneath. Getting into their heads and beliefs didn't necessarily make me love them, but I gained insight about their behavior and felt sympathy for them when they were mistreated by humans. Then there's Annaleen. I consider her the other main character of the book, and she more than stands her ground against Ben Kenobi. She has multiple facets and is a well written character who I wouldn't mind seeing more of in another story. You get into Obi-Wan's head throughout the book by way of his meditations to Qui-Gon Jinn. He discusses everything from the mundane to deep thoughts about Anakin and the order with his former master, and it's a side of Obi-Wan we don't see much of after the prequel trilogy. Inserting these diaries of sorts was a wonderful decision to put us in Obi-Wan's perspective and to give us some personal time with the beloved character. The only nitpick I have is one of the issues I have with Agents of S.H.I.E.L.D. - there's a touch too much name dropping. We know what universe we're in and though a few nods are good, many more than that and it just feels awkward. 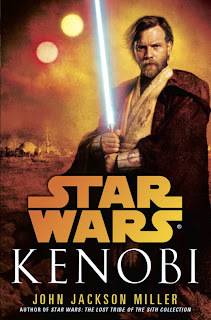 Overall, Kenobi illustrates how perfectly a small story works in a vast galaxy; it has its own stakes, and you can't help but get wrapped up in the ride. It was a delight to be outside direct Imperial threats and the heavier cares of the universe. Sure, they were there in overtones affecting the business of Tatooine and the lives of its people, but you're so worried about the immediate dangers that you don't focus on them. I enjoyed seeing an everyday slice of life featuring a familiar face. And of course, it was fun to see where Obi-Wan ended and Ben began. 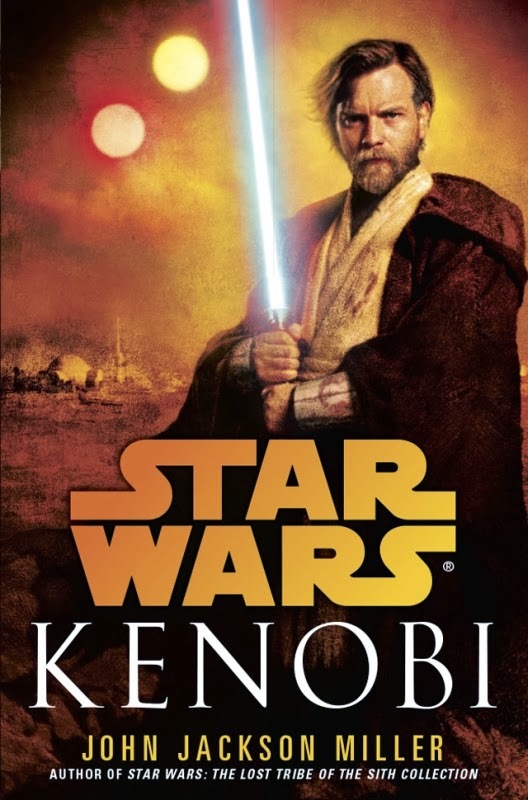 Get a copy of Kenobi on Amazon! Note: Kenobi was provided free of charge for review purposes. This seems very similar to what I would like to see in a spinoff movie, which is basically a re-imagined telling of Akira Kurosawa's Seven Samurai with Obi-Wan calling on other exiled Jedi to save a village from a powerful band of Tusken raiders. It's Time For September Loot Crate Goodness!